In the run-up to the Game Developers Conference, Google appears to be full of surprises. From the discovery that Chrome will soon support Nintendo Switch controllers to rumors of a dedicated Google gaming controller, it appears that Google is diving headfirst into the gaming scene. Now there’s a new addition – a website designed specifically to offer help and support to those who develop games for Android. The website describes itself as a ‘hub’ to help people ‘develop amazing mobile games’ for the Android market. The website advertises features and tools such as building games in Unity, creating a seamless Google Play sign-in experience, detecting and diagnosing crashes easily. There are also tools for in-app support, such as determining if your app needs to access sensitive data, and more PR and marketing focused tools such as localizing an app to maximize customer reach. Developers can also make use of the hub’s Launch & Iterate tools, which allow developers to offer things such as pre-registration for games and access player analytics. 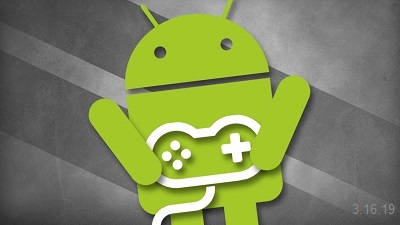 The hub is a helpful addition and, hopefully, will see the development and launch of Android-based games becoming a lot easier in the long run. You can check out the website here. Google’s GDC reveals the event, which is set to unveil something big and gaming related, is set to take place on March 19th.